Lawyer marketing is a lucrative area of copywriting. Unfortunately, lawyers have to overcome a few serious marketing obstacles. Lawyers themselves can be the biggest obstacles, as the public persona they wish to present and language they want to use may go against what resonates with their potential clients. Another obstacle may be regulations set forth by the Lawyers Board of Professional Responsibility. Those regulations affect what can and cannot be said in advertising. It will be up to you to overcome those obstacles and position your client to appeal to his potential clients. When interviewing lawyers, I always tell them, “I realize that you are my client, but I’m writing to your potential clients.” I let them know the writing will be in plain English. Getting this out of the way at the beginning can clear up a lot of misunderstandings and potential conflicts about how the website will be written. Lawyers believe people want to know about the law. What people really want to know is how the law may apply to them and what a lawyer can do to help them. I always emphasize this point. Taking these two stances at the beginning of your interview and writing process can help prevent a lot of misunderstandings when you turn in your first draft. When you ask lawyers what really makes them stand out from their competition, they’ll say things like, “I return phone calls,” or “I really care about what happens to my clients.” All well and good, and probably true, but pretty much every lawyer says this. Not so original. am a professional copywriter with experience in sales, running a business, and thinking creatively. I work directly with my clients to create exactly the product they are looking for, whether it is a direct sales letter, articles or blogs for web content, or fiction and non-fiction creative writing. I specialize in broadening the appeal of a product message while keeping the personal touch of speaking directly to the potential customer. My goal as a copywriter is to make sure that you, my client, get exactly what you want to push your business or project forward. Give me your ideas and current ‘control’ copy and let’s see what we can create together. My job as a copywriter, editor and proofreader is to get your project done in a timely manner, to your satisfaction, and I will work and re-work until I do. Just when I needed a right-away strategy for some earnings I found your article here, Tanya – and that was the light-bulb moment: web content for service providers in the most lucrative (larger ticket) services. 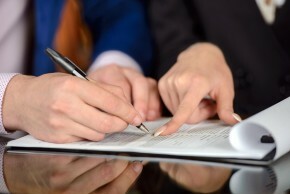 Lawyers or attorneys is a great one – financial planners is another. And cosmetic surgeons. They also tend to be in the position to make a decision and move ahead with a project quickly and to not kick back about professional fees. These might not turn out to be `forever`niches of choice – but they are one way to get started – or keep going, and keep paying the bills, while we get established as writers in those `dream`niches of choice, while we get to live the `dream`writer`s life right now. Thanks so much, Tanya! Glad the article gave you the “ahah” moment you needed. Best of luck with those niches. I enjoyed this article as Attorneys are the niche I want to pursue. I am drilling down a bit to Estate Planning, Elder Law Attorneys. I am working on a list of attorneys to target. Do you have any suggestions on what size firms, (revenue/employee) and how to come up with a profile of the person I should target? I will be using email, possibly direct response initially. I would start with solo practice lawyers and smaller firms. A lot of larger firms have their own in-house marketing teams, which may make them more difficult to approach. Check out different lawyers and firms on LinkedIn as a good starting resource. Also, I know most bar associations have a magazine, and lawyers frequently advertise in those. Estate planning and elder law are great areas to write for. I always enjoyed those sites. Best of luck with this. I hope you have found (or do find) clients very soon. Thank you for the response. I will check out LinkedIn. I am currently working on my profile for a LinkedIn page. I was thinking about focusing on emails and e-newletters to get myself started. Any thoughts on these areas?